Palm and rein grip area are pimpled rubber for good grip. Articulated area over knuckle is elasticized for comfort. Elastic wrist with hook-an-loop closure. 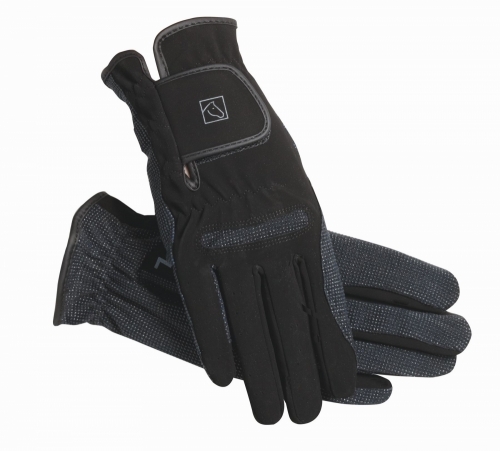 This a comfortable and durable glove at a great value for the beginning rider.